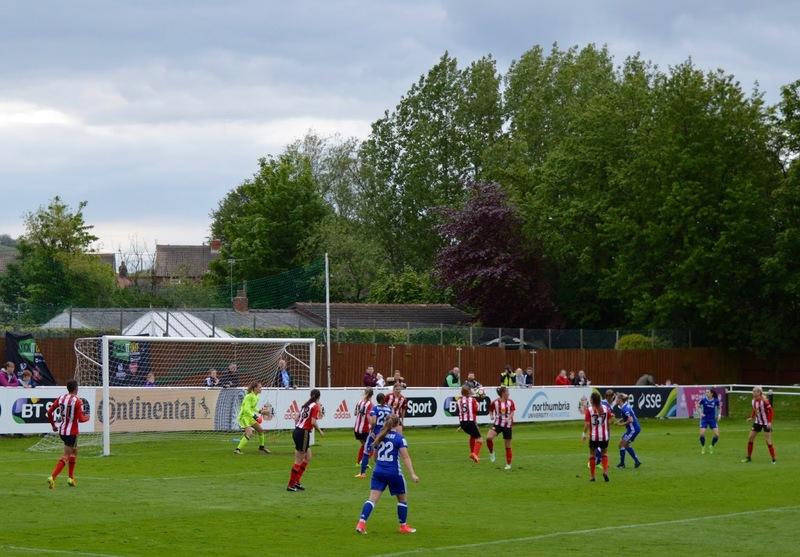 After a once in a lifetime trip to watch the SSE Women's Cup Final at Wembley a few weeks ago, we were inspired to find out more about where we can watch women's football locally. 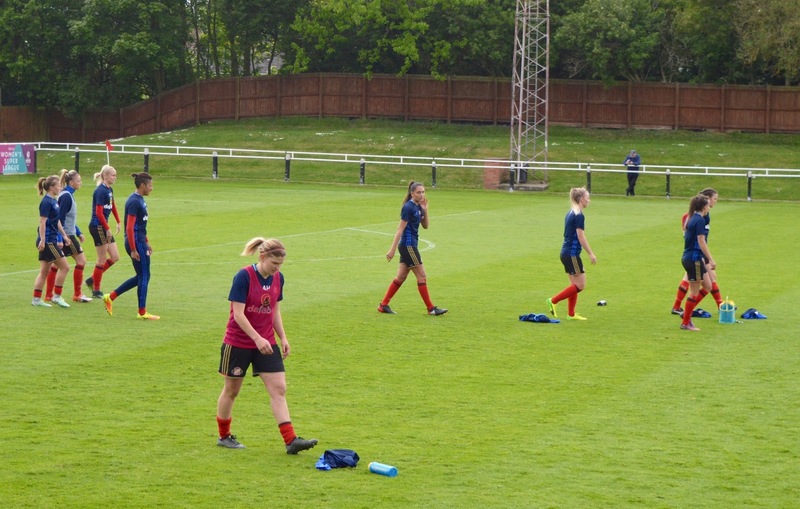 We are working with the FA as part of their campaign to double girls' participation in football by 2020 with their For All initiative and were pleased to hear about The FA WSL Spring Series which is happening right on our doorstep in Sunderland. The FA Women's Superleague (WSL) is the top tier of Women's Football in England, so kind of like the men's equivalent of the Premier League I guess. There are 19 teams split across two leagues and the players are all semi-professional or fully professional. This year, the teams are playing in a special Spring series in preparation for September when their league will run parallel to the men's game. If you're wondering why we went to watch Sunderland Ladies and not Newcastle, it is because Newcastle aren't playing at this top level (yet) so aren't part of The FA WSL Spring Series. 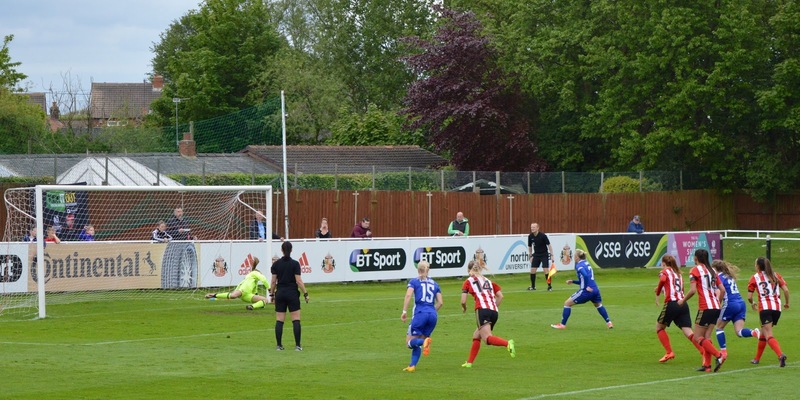 The FA Women's Premier League consists of 72 teams playing across 6 different leagues. It's a fairly complicated system I think that has undergone a fair few changes recently so if you'd like to know more, this is the best article I have found that explains the format. 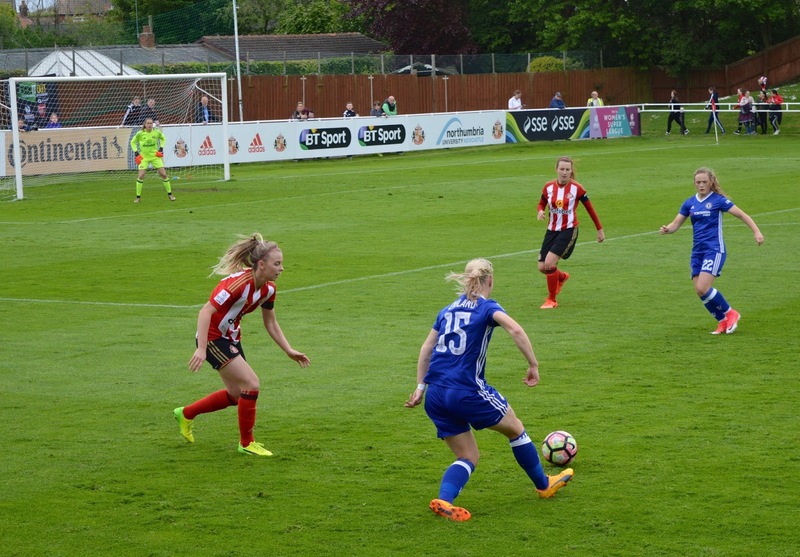 Tickets are available from just £2 via the Sunderland AFC Ladies website and I would personally recommend watching the match against Manchester City Women on 31/5 if you can as they are the FA Cup Champions so it's a chance to watch women play who are at the very top of their game. 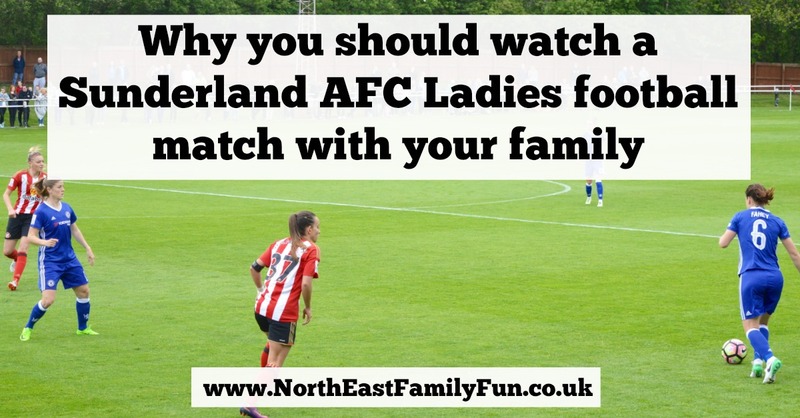 How family-friendly is a Sunderland AFC Ladies football match? Watching the women's game is very different from the men's game. For starters, the crowd is a lot less. 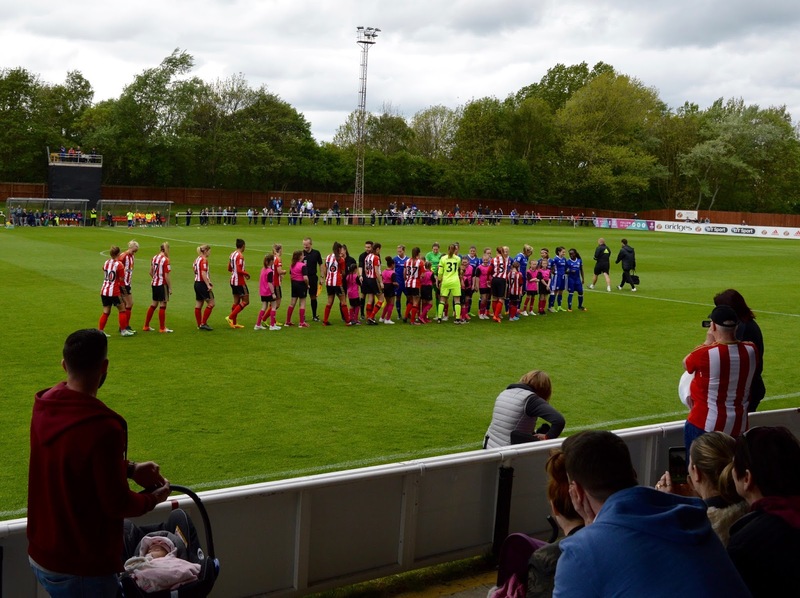 There were 775 people in attendance on the day of our visit where Sunderland AFC Ladies played Chelsea Ladies. 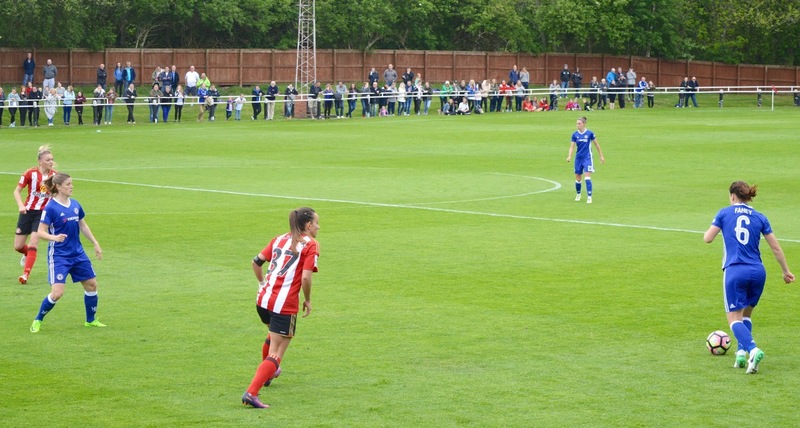 If you're not a fan of crowded stadiums, Hetton Park where Sunderland AFC Ladies play their home games is very chilled out. There is unreserved seating in the stands and families had brought blankets and their own mini footballs to play on the grass around the pitch. It feels very open and laid back. On entering you can buy programmes, banners and noise makers at low cost and there is a range of FREE activities including football face-painting and banner making with the Creation Station. We arrived a little too late to take part but would definitely advise arriving early to make the most of these additional activities. The banners are judged at half-time and everyone who takes part receives a prize (on the day of our visit everyone received a Sunderland AFC Ladies cup). There'a a raffle to win a signed football shirt, music at half time and pre-game too. Lots going on! If you are really keen you can also sign your children up to FREE SAFC skills session which take place before kick-off. Children aged 5-16 can learn new tricks and skills on the pitch with professional coaches. You can sign up to these FREE sessions via the Sunderland AFC Ladies website here. We settled watching the team warm-up and opened our snacks. There were young mascots on the pitch and the teams all greeted each other warmly before the match. There were children and families of all ages in the crowd and a big mix of boys and girls too. Most of the children were obviously huge football fans and had their faces painted and were wearing football strips. The main difference between watching this match and the final at Wembley was that we were able to get very close to the action here and see the skills on display right in front of our eyes. We were super impressed. Again, the atmosphere was very good and there was a little bit of gentle banter between the children supporting Chelsea and those supporting Sunderland as each tried to cheer the loudest. 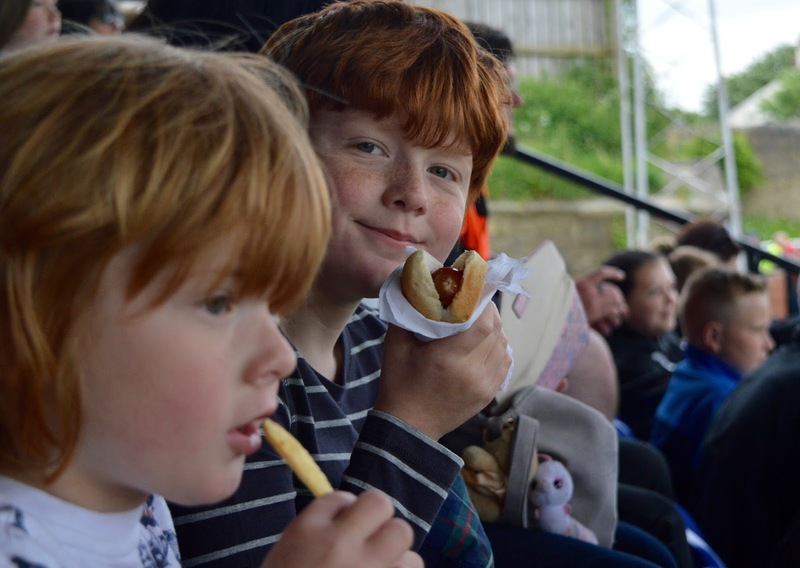 At half time, there is a cafe where you can buy hotdogs, chips ect.... which pleased the kids. The prices were cheap too and I had change for a fiver! Unfortunately, Sunderland lost 7-0 on this occasion. This didn't really matter though as we all still thoroughly enjoyed our afternoon. I think it's important for children to realise that we can't always win either and Sunderland AFC Ladies all showed strength and determination until the end. We still cheered when Chelsea Ladies scored too - it's all part of the spirit and the whole experience was still and uplifting and inspiring one. 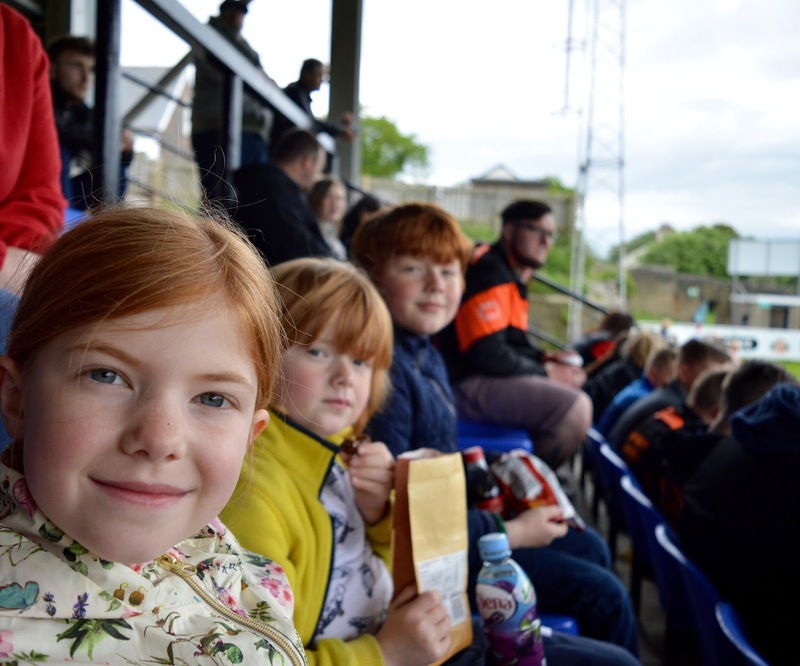 An afternoon watching professional football will set you back £10 for a family - this includes entry, banner making with the creation station and FREE football skills session. Spend just £10 more and this can include hot food, noise makers and raffle tickets to win a signed shirt. I don't think you'll find many places that are as inspiring to the younger generation and provide such fantastic value for money. Visit www.thefa.com/womens-girls-football all you need to know Women's Leagues and competitions at all levels. The next stage in our football journey is going to be Heidi signing up to a local SSE Wildcats Girls' Coaching Session herself. She took part in some professional football coaching with school last year and thoroughly enjoyed herself so I am hoping she gets a lot from this experience too. I'll share our Wildcats experience with you all soon. NB I am working with the FA and Britmums on a paid basis to write these posts. All thoughts, photographs and football enthusiasm are my own. You've really given me an insight into what it would be like to watch women's football at a match like this. It seems very family friendly and a lot of fun! I think people forget about women's football a lot as it isn't so well publicised, but it sounds to me like the matches are actually more fun to watch! Love the idea that kids can kick around while enjoying a chilled-out game. Oh they have such wonderful activities alongside the games - we've never had that down south (although Tottenham gave out some freebies when we went to the WPL play off recently) - it makes for a brilliant atmosphere when you feel a part of it. Chelsea did really well in the Spring Series - plus they have so many Lionesses in the team you would hope they would do well! (so that's a good sign for the Euro's!). Love it!